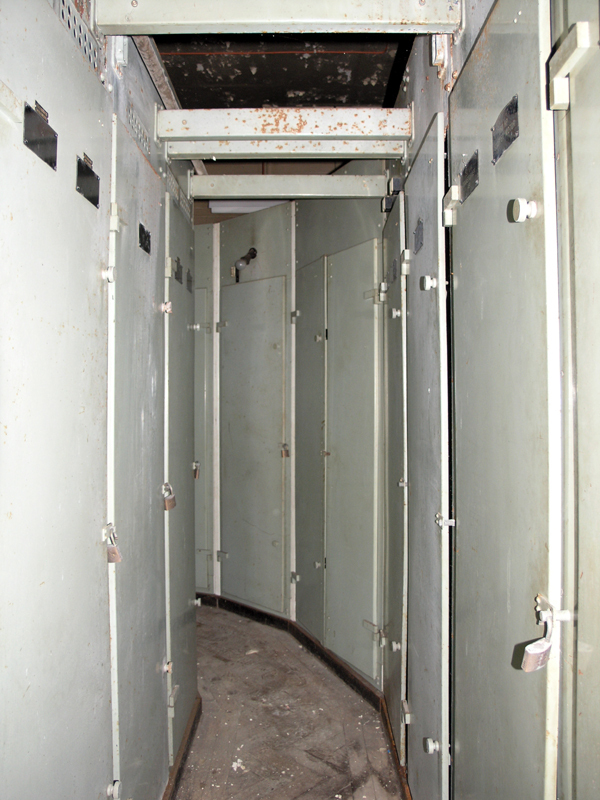 The service corridor between the cabinets follows the same half-octagonal path as the metering cabinets (on the right) and the control room cabinets (on the left). Entering the control panel access corridor. This is the northern section.